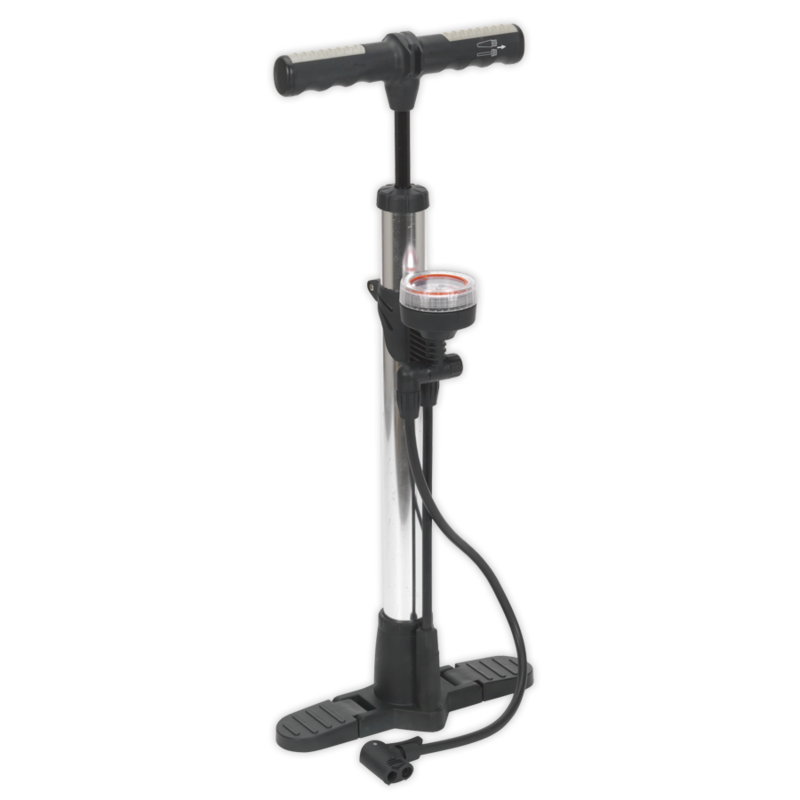 Durable construction with chrome plated steel upright tube. Dial type high pressure gauge with rotating bezel. Gauge calibrated in psi and bar with ranges from 0-160psi and 0-8bar. Fitted with twin head for both Presta and Schrader valves and a 360° rotatable hose. Features a wide base for added stability with foldable foot stand. Supplied with accessories for inflating items such as small inflatable boats, air beds and balls stored in a compartment located in the handle.